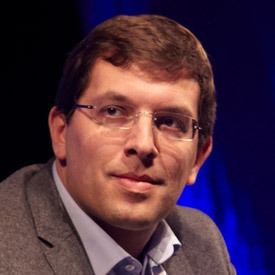 Christian Mandl co-founded SkyEurope, a Central European low-cost airline, which he managed until 2007 as Chief Executive Officer. He took SkyEurope public on the Vienna and Warsaw stock exchanges in 2005 before exiting his investment in 2007. In 2009, Mandl took over the assets of Maporama, a leading French provider of digital mapping solutions for professional users. He restructured the company and sold it in March 2013 to TIBCO Software, a NASDAQ-listed company. In 2013, Mandl co-founded Neulogy Ventures, a venture capital fund that provides both funding and mentoring to young entrepreneurs in Slovakia. Most recently, Mandl founded Govio, a social entrepreneurship project aiming at improving democratic processes and public services through the use of technology.